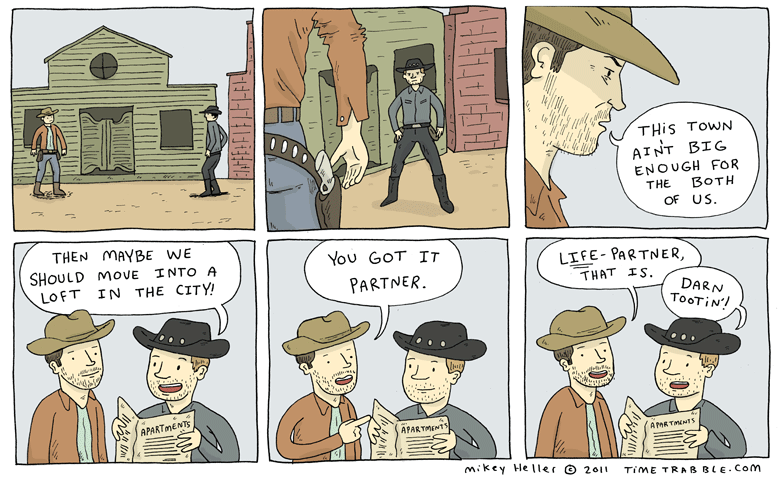 Here’s a pretty topical comic that is also a Western. Boom. Love the way you draw your characters, panel 3 profile is awesome. Cheers. I like your “long-lost” comic by the way.